I honestly can't grasp the logic behind the recent decision reported by the phenom that is Ridley Scott, the engineer behind the face hugger and chest burster we had known for so long. We're talking about as far back as 1979 when the original "Alien" was released in theaters, heralding a story about survival and humanity at its purest form. And the fact that life, however fierce and deadly it may be, at its core can be visceral, viral, and even unstoppable. You couldn't beat that kind of tagline back then. 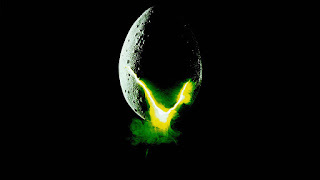 First it was a spaceship (the Nostromo), then it was a planet marines landed on to investigate a colony (along with a ton of eggs and aliens to battle). It was then a prison planet. Another spaceship. Another spaceship. And then a planet again! And let's just go ahead and forget the whole "Predator" crossover thing, although it was cool. The underlying fact that the entire world we're looking at here kind of revolved around the discovery of "hideous" life makes for a compelling story, and unless Scott has something up his sleeve that at the very least ties into the xenomorph, I have a feeling he might lose a brand -- and, therefore, an audience. The angle goes that he might tackle AI (artificial intelligence), which as you already know was also a bit of a theme in all of these ALIEN movies. Not a main theme, however -- but a recurring one. I'm concerned that it won't be enough at all, and we need at least something that has some kind of connection with the xenomorph that makes this entire world relevant, resonating with an audience. And with that rich history, and that ominous "black goo" responsible for the advent of the xenomorph.... We have a possibility for something else. Something new. Sure, Scott, we can explore AI deeper (although it's been done before), but let's not lose that rich mythology you've built, please! What do you guys think?